The slave entities of two contact definitions share nodes. If there is not the same entity assigned as slave, this might be caused by shared edges. The simulation stopped due to multiple contact definition sharing slave nodes. This error occurred due to the shared nodes between two slave surfaces in multiple physical contact assignment. 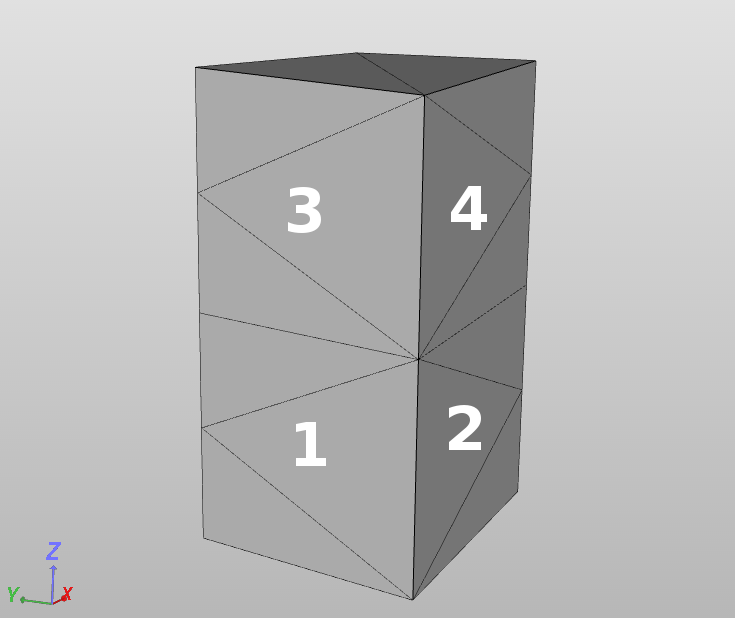 For example, if two faces of a solid sharing nodes with each other needs to be assigned for the physical contact with another solid face(s), than defining these two faces as slave entity will lead to this error. Let’s consider a case where we have 4 solids in contact with each other as shown in figure below. 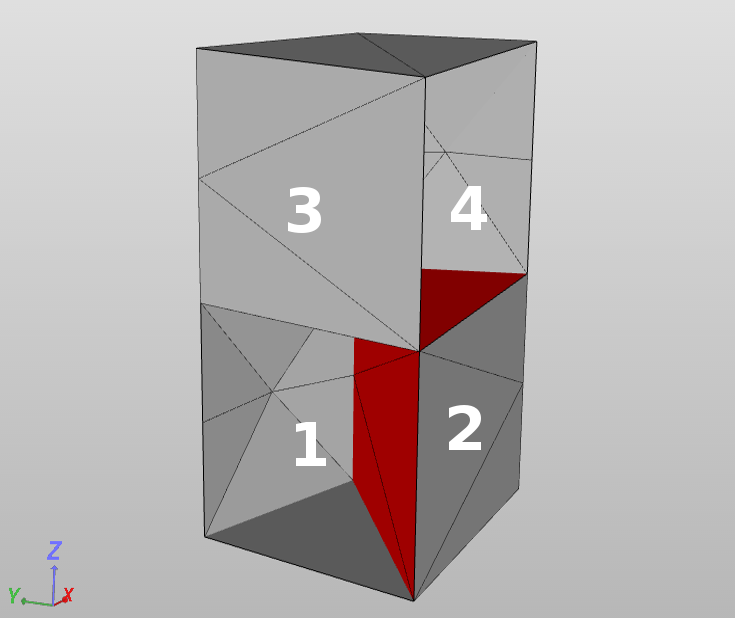 The solution of this problem is quite simple, we can define either the top or left face of solid 2 as slave and other as master. We can than follow the same procedure for other solids making sure that master surface of one solid is in contact with the slave surface of the other. If none of the above suggestions did solve your problem, then please post the issue on our forum or contact us.